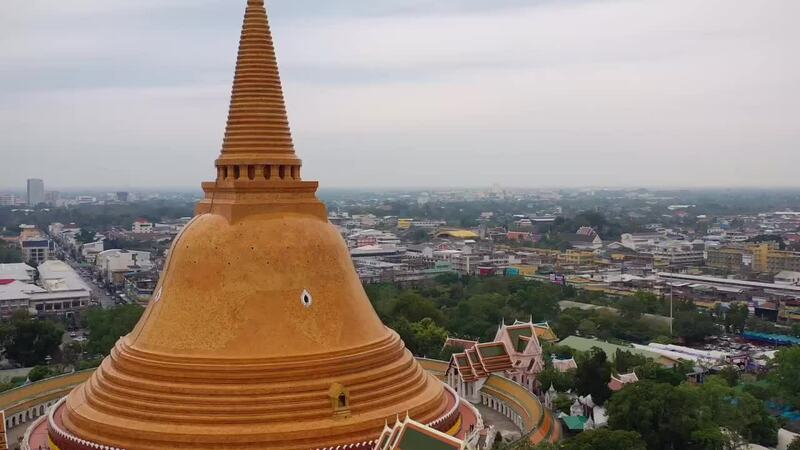 Check out this amazing drone video of a noted religious landmark in the central part of Thailand. The Phra Pathommachedi is what's known as a Stupa, which is a circular structure carrying relics of significance to followers of Buddhism. It's situated near the medium sized city of Nakhon Pathom, which is the capital of the province of the same name. The structure is one of the more popular tourist destinations in the area, which is located a short distance due west from Bangkok.